Welcome! Grace Baptist church is located in the foothills of the Blue Ridge Mountains just a few miles southeast of the North Carolina border in the small town of Landrum, SC. It is here that this ministry has been serving the Lord Jesus Christ for more than 50 years. 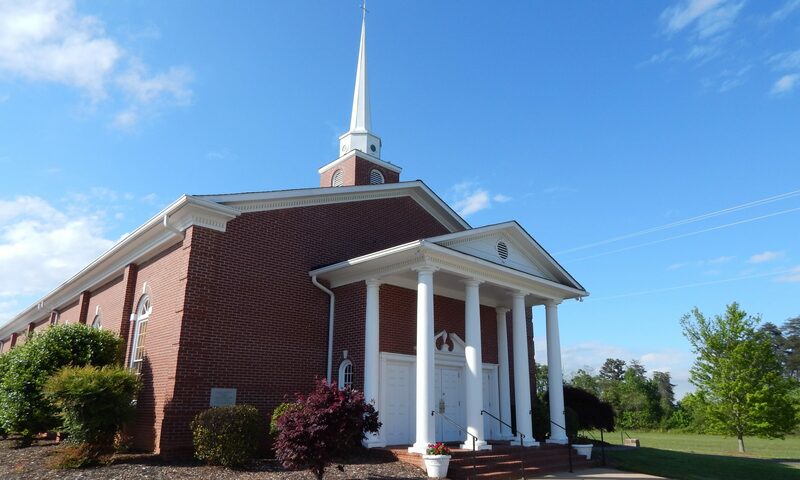 Grace Baptist Church is an independent Baptist church ministering to the families of Spartanburg County, South Carolina and the surrounding areas. We believe that, for the glory of God, we have been called to share with people the message of salvation and sanctification in Jesus Christ through sound Bible preaching, personal evangelism, and worldwide missions. Please take a moment to look around and learn more about this ministry. The King's Kids, deaf, and teen ministries will be taking a spring break. These ministries will resume on May 1st. We'll have a Lego door prize and giant Lego games in this night in King's Kids. King's Kids' Club is a Bible club for children four years old through sixth grade. Each night includes a time of singing, games, Bible memory, and a Bible lesson. It's Double Coin Night. Clubbers will earn double King's coins for attendance, bringing their Bible, visitors, and saying verses. King's coins can be used in the final King's Market on May 15. Please, join us for a relaxing time of fellowship. We'll be grilling hamburgers and hot dogs. We ask that you bring a side dish to share. The King's Market will be open for the clubbers to shop with the King's coins they have earned so far this year.